What does a Russian spy, North Korea and Nokia 8110 4G have in common? 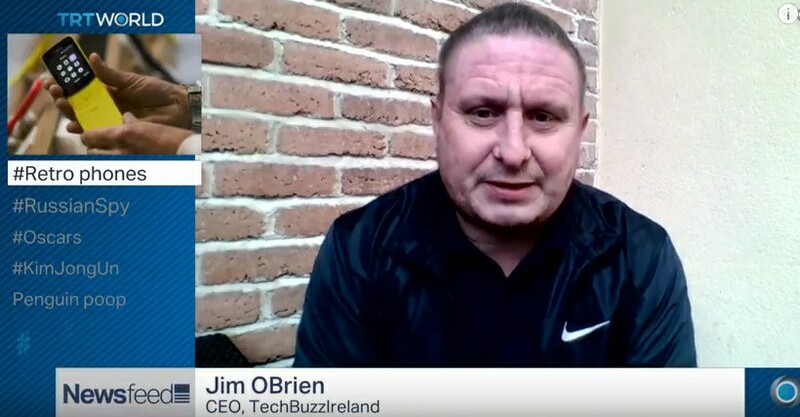 They were all featured in a TRTWorld’s TV show NewsFeed and the guy who was talking about the renewed Matrix phone was probably the biggest fan of Nokia phones and other products, Jim O’Brien. Jim talked about the idea behind the revival of some iconic Nokia phones, but also about the model of Nokia’s brand return to the smartphone business. What Nokia have is a rather large community that can help spread the word about its brand. The community was silent for a few years, but now it is getting active again. I’m glad to see Jim still actively promoting Nokia since this guy is one of the oldest fans out there. Hope HMDGlobal, or its marketing department, will see the potential of this and include the community more to spread the power of connection that Nokia brand has.